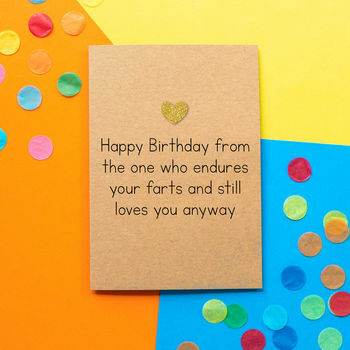 You know it's real love when you no longer have to hold your farts in. 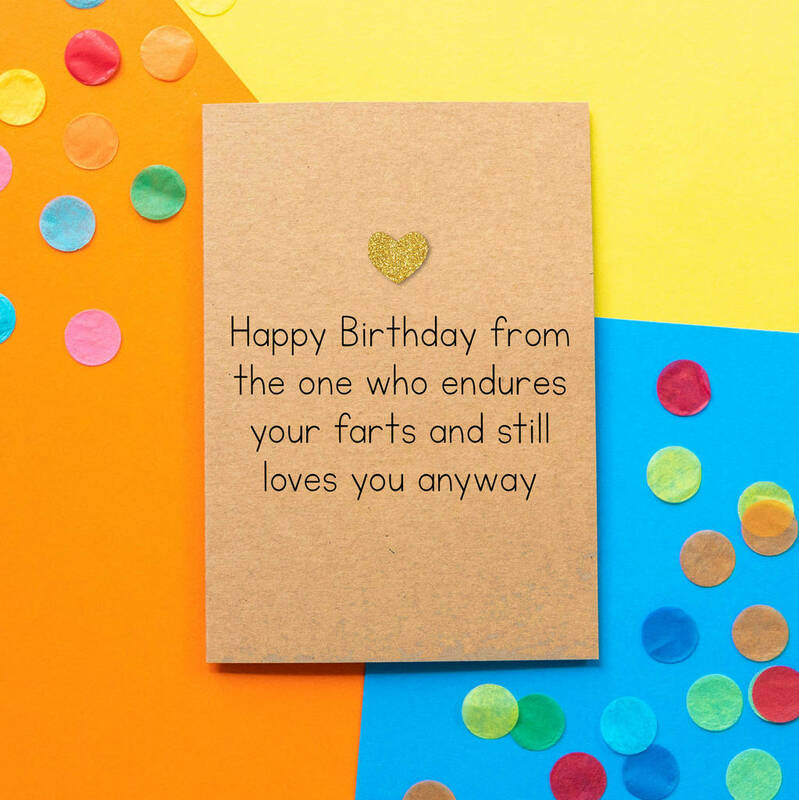 Hand embellished with a gold glitter heart, this funny Birthday Card is accompanied with a matching kraft envelope. It's then sealed in a cellophane sleeve and sent out to you in a board backed envelope to prevent damage in transit. Printed on heavy 350gsm Kraft card and hand embellished with glitter card heart.